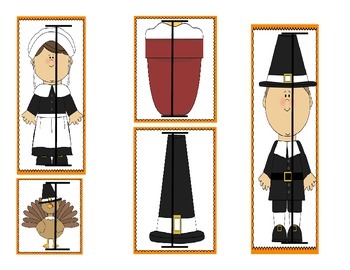 -Measure Thanksgiving pictures using unifix cubes. 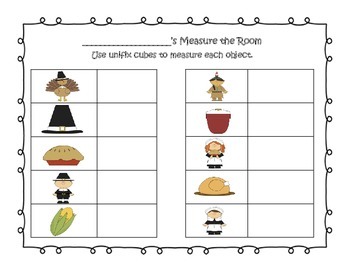 You can either laminate and put in a math tub or hang them around the room so that students can be up and moving! 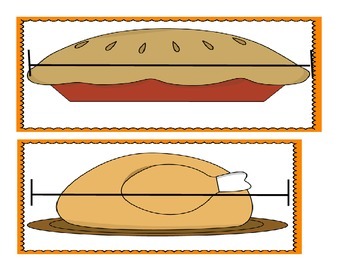 -Shorter/Longer/Same as the turkey: You can either make a die-cut turkey or use the one provided. 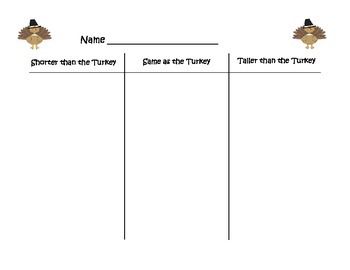 Students can then walk around the room searching for objects that are shorter, taller, or the same height as the turkey.